One of the things that anyone making a serious study of something as massive as rock history has to contend with, especially when tackling in a manner such as the song by song reviews of Spontaneous Lunacy, is the quicksand of personal favoritism. Though the nature of the reviews, and more pertinently the scores that accompany them, are somewhat subjective which I think most readers “get”, there’s always a fear of having this project viewed simply as one person’s meaningless tastes making it irrelevant to anyone else. The scores therefore, as I’ve tried making clear, are merely to be taken as sort of a side-dish to the main course which is the effort to present the full unadulterated history of the music and the backstory of each artist and record as they come along that forms the bulk of the reviews. This why I try and downplay the importance of MY scores and hope that instead of making those irrelevant numbers an issue, readers instead use it as an opportunity to think of what THEY would give something and more importantly WHY they would. What appeals to their sensibilities and how does that vary from artist to artist, style to style and era to era? Obviously there’s going to be consistencies within each person’s tastes and certain artists will benefit from that. Whether it’s the songwriting approach someone connects with, or the instrumental techniques an artist features, the vocal qualities they find alluring… it can be anything, but I think generally speaking most people who become fans of a certain artist will tend to assess all of their work with kid gloves. The good records they’ll view as flawless works of art and the so-so ones they’ll see through rose colored glasses. Even the subpar material they’ll be more lenient on and find something in it to praise. Though an unfortunate in practice it remains a natural human quality. By embracing the artist so wholeheartedly when you first discover them you’ve essentially tied your own identity to them in a way and if they are considered among the best artists of their era, or of all-time, then it somehow elevates your judgment. But if that artist starts to slip many feel it starts to call into question that initial judgment and nobody likes to be seen as making a bad or ill-informed decision (though it ISN’T one, precisely because it was the original higher quality work you were specifically praising), and as a result fans tend to become very defensive and feel the need to prop up the artist so as not to let their image suffer. The counter to this charge of favoritism, one that I tend to gravitate towards, is to become MORE demanding of the artist once they’ve raised my expectations. I don’t ever want to be seen as a shill for somebody, a cheerleader for mediocrity or (insult of insults) a “fanboy” – somebody who tosses their own personal objectivity out the window and treats an artist like a member of the family who needs to be protected by neighborhood bullies when they make a bad career move and release something that’s not up to par. So where the heck is this overview headed? When this project began and I was assembling the songs to be covered in the first year, trying to accurately peg their release dates to give me some sense of where to start after the obvious opening review that launched rock ‘n’ roll, the name Albennie Jones was nothing special to me. I knew who she was, had heard a few songs, been reasonably impressed with her voice and delivery, but hadn’t given her much thought beyond that. Only when forced to sit down and meticulously study her first two sides in the rock idiom did I give her the type of focus I hoped to grant every artist we cover here. But I STILL wasn’t expecting too much. My initial reaction to The Rain Is Falling was definitely positive, I was impressed with each aspect of it for sure, but as solid as it sounded on the first listen it wasn’t something that leapt out of the speakers. Though I specifically try NOT to give grades too early in the process, which is sometimes easier said than done, I was guessing it’d get about a (7), which is a very good record, and I was trying to figure out how to explain WHY it was very good to those who hadn’t heard it (the whole point of the blog after all). But as I listened again and again and found a thread to pull on to ease into the analytical aspects that would follow, I began noticing all of the smaller details that had sort of blended together the first few times through. I won’t recount them all here, that’s why the reviews are archived, to let you go back and re-read them for yourselves, but suffice it to say the song quickly revealed itself to be quite a bit more than my initial hasty assessment. It jumped to an (8) which is a “great” record and a score I’m determined not to hand out without really good reason. But then the more I thought about it, the more I listened, and the more I read my own review in the editing stage, the more I realized I had described a perfect record, and if the score didn’t reflect that – on just the fourth review overall – then how could I be trusted to dole out the score I actually BELIEVED in from then on if the only thing holding me back from giving out a (9) was the mere perception that it wasn’t quite a big enough, important enough, OBVIOUS enough record to earn that figure rate out of the gate. So a nine it became and I haven’t regretted it for so much as a millisecond since then. In a way it set the tone for the rest of the project. I DON’T expect every reader to have the same assessment of every record, nor do I want them to (how boring would that be), but what I want is for each person to feel strongly enough about a record to stick to their convictions no matter what. Which brings us back to the pitfall of personal favoritism… prejudice, bias, call it what you want… and the risk of it influencing future records and their scores that you DON’T feel as strongly about but feel compelled to boost because you went out on a limb once upon a time for the artist and therefore need to validate that previous assessment by treating all of their subsequent work with reverence. With Albennie Jones this was particularly troubling to me because the flip-side of that initial record, Papa Tree Top Blues, was almost as stellar. I gave that one an (8) and it too was entirely earned. Yet now I was pretty far out on a limb, declaring that the BEST rock releases of 1947 included two songs by one artist whom history has all but forgotten entirely. That’s the type of thing that draws attention – and derision if others don’t see in it what you do. So when the next Albennie Jones release was approaching on the calendar it was with an equal mixture of anticipation and anxiety that I delved into those songs (which I’d purposefully avoided for this very reason until that time). I was almost worried I’d find them TOO good as well, that I’d wind up being the town crier for this obscure and neglected figure from the shadowy past and be insisting like a raving lunatic who nobody takes seriously that Jones deserves to be elevated to an all-time great. I needn’t have worried. While she was still clearly an excellent singer, a decent songwriter and was backed by the same stellar supporting cast, the material and framework the songs were housed in let her down. I was almost relieved in a way, felt I’d been taken off the hook, able to sidestep the impression that I was championing her for some ulterior motive (what that motive would be, I have no idea). But a sobering thought came to me after having filed those reviews, as I wondered if I might’ve been TOO quick to knock her down a peg. I even alluded to this at the time with the second of them by saying that the prior record, Give It Up Daddy might’ve been a bit better than the still very respectable (6) I gave it. 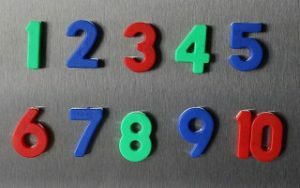 Months later I’m still torn over that one, whether it deserved a 6 or 7 and the reason I haven’t boosted one point comes back to the initial premise here, that you don’t want to be seen as playing favorites, even though the entire concept of the scoring is to delineate what your own favorites are in a way. Which brings us finally to the reason for this public soul-searching, hand-wringing, time-wasting couch trip, which is that we’ve come to the third release of Albennie Jones, one with similar conflicts as the last outing, musically and ethically. Love Is Such A Mystery has a lot of things to recommend it. As the title suggests the story’s theme is fairly insightful and Jones imparts it with a measure of genuine circumspection, taking it from the perspective of somebody who’s been burned by love but not altogether ready to give up on it as a result. Her voice is as alluring as ever, strong without being strident with a warm tone that has a slight edginess to it. 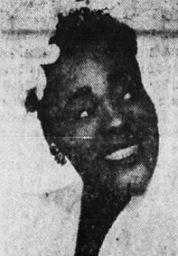 She’s proven to be enjoyable to hear no matter what she sings, which certainly can help elevate lesser material, but here with a song written by trumpeter Hot Lips Page what she has to work with is quite good to start with. It’s helped once again by the skill of her earlier cohorts, pianist Sammy Price and guitarist Billy Butler whose interlocking introduction leads into this with a sense of eager anticipation. Actually the downbeat lyrics that immediately follow come as a surprise as a result of hearing their playing, though Jones’s lyrics vacillates between the ups and downs of romance and it’s simply that the first verse takes the downside of love before recounting the positives next, so the musical lead-in isn’t exactly out of place, just a little mistimed maybe. The saxophone backing her throughout adds texture without artificially adding excitement. They cut this a good deal earlier than most records released the first month of 1949 and when they had laid this down the sax hadn’t been promoted to rock’s frontlines yet. As a result it’s allowed to maintain a mellower tone than they probably would’ve used had this just been recorded at the end of 1948 when all involved might’ve felt compelled to let the horn blow a hotter riff just to fit in with the overall rock program. That it pre-dates that mindset helps to keep this on a more even keel suitable for the content. 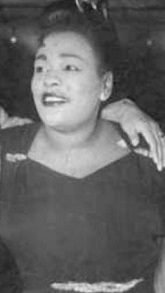 The lyrics take on a paramount importance in all of Jones’s recordings, as she has the ability to reflect whatever underlying emotion they call for and if – as on I Have A Way Of Lovin’ – they are rather shallow then no amount of vocal might will rescue them. Thankfully on Love Is Such A Mystery they’re effective in stating her fluctuating views on love, as she declares she’s ready to give up her man and is becoming jaded by the prospect of a deeper connection between two people. “No more romance for me baby/love played me for a fool”, then declares defiantly, “From now on baby, Albennie is gonna play the field”. But she also holds out hope that her heart might be won over again and in the end it doesn’t really settle on any definitive perspective, which is appropriate too, because after all love IS such a mystery for all of us and I suppose it’s reassuring that she was no closer to figuring it out in 1949 than we are today in 2017. All of that is really good. It’s a very solid piece of work from all involved. It could’ve used an instrumental solo to break up the verses, especially as there’s no chorus to fall back on, but otherwise the individual components are all worthy of admiration. However… at the risk of being contrarian just to prove a point, namely that I’m not going to merely give Jones the benefit of every doubt… we come to an issue with her that’s been lingering throughout all of her records from the very start, yet one that only begins to reveal itself the more we go along, and that’s her song structures are for the most part identical. Love Is Such A Mystery is essentially the same construct as Papa Tree Top Blues and I Have A Way Of Lovin’. The melody, the accompaniment and her cadences are at times too close for comfort. It sounds as if you’re hearing the same song looped endlessly with only slight variations and it’s getting to be rather disconcerting. In retrospect it has me wondering if the praise for Papa Tree Top (the B-side (8) that adorned her first rock release) may not have been quite so effusive if it had been third in line rather than first. The backlash I laid out against I Have A Way Of Lovin’ might have been less severe if I hadn’t heard so many similarities to a (far better) record that preceded it. I still think – all things considered – the scores were right, or at least the advantages Papa Tree Top possessed were fairly obvious. It had the best story, the best lyrics and were delivered in the most effective manner, but I’ll admit its timing probably didn’t hurt. But now we’re forced to deal with it third-hand, yet knowing that what works about the basic arrangement STILL works and the story line is more agreeable than its weaker follow-up “…Way Of Lovin’”, which fell short in that regard. Maybe if I’d been less diligent about this project from the start and just hastily winged the reviews based on my first impressions and then quickly moved on to whatever was next in the queue then this whole ordeal would’ve been a lot easier. If that were the case I’d have given more moderate praise to the first Albennie Jones appearances then probably matched that verdict, or taken them just one step down the next time out and repeated the same analysis here in half the words with less than half the insight. But while it undoubtedly would’ve been easier it wouldn’t have been as rewarding – for me certainly, and maybe for you too – than the painstaking parsing of every detail of every song to try and determine what about each one worked and didn’t work when they were quite similar on their surface. That kind of meticulous study revealed, to me anyway, where such similar songs diverged and told me something about their respective qualities that I often wish all songwriters, artists and producers would do themselves to avoid the pitfalls of recycling themes. 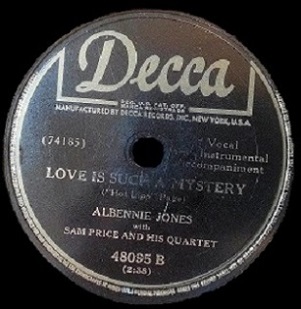 Here on Love Is Such A Mystery Albennie Jones comes away with something that’s certainly enjoyable to listen to and when heard in isolation from everything else might be deserving of a (7). But life doesn’t exist in a bubble where each experience is separated from everything else. In life our own experiences, which include exposure to previous records, build upon one another and change our impressions of what we hear going forward. Sometimes that change is for the worse, when we allow our affinity for one thing to prevent us from seeing that which follows it more clearly and judge it on its own merits. But sometimes our vision becomes clearer with more information at our disposal and we wind up sorting through the similarities to see the differences and it’s with that hope that I settled on the score below. In the end it’s a lot of words spent (too many in fact) on an otherwise meaningless score, something originally was meant to just be a numerical afterthought, a distillation of a larger analysis and nothing else. But here the potential numbers and all they entail along with the motivation behind them became the very thing being analyzed. I suppose it had to be delved into once, just so people know the sometimes exhaustive (emotionally more than physically) process that goes into all of this. But now that it’s been aired out in public let’s move on before I start questioning whether for a myriad of psychological reasons I was TOO generous with this one, or if I was not quite generous enough. So in closing – as always – be reminded that the scores only reflect my (often conflicted) feelings, they’re not intended to suggest what you should think. In the end what matters is not what I think anyway, it’s what each of you think and until (and unless) you devote enough time to really listening to and studying each record you come across that will remain the biggest mystery of all. Leave a reply on "Albennie Jones: “Love Is Such A Mystery”"